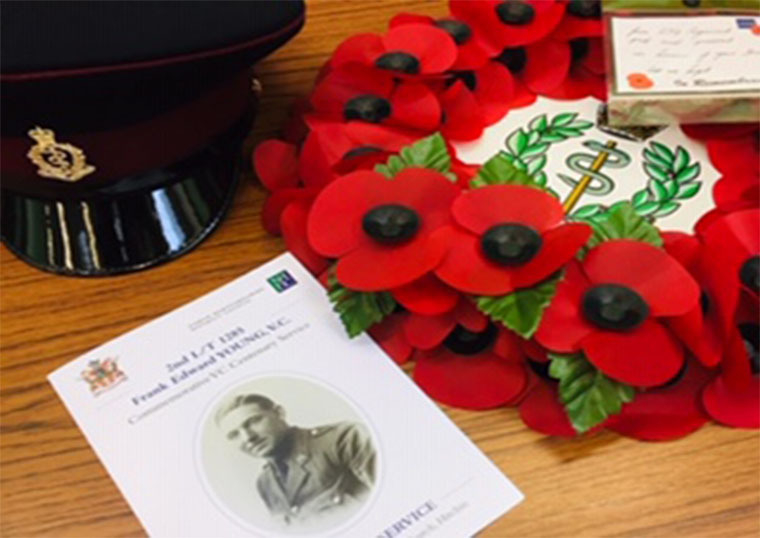 Jane McCue DL attended a VC Centenary Service organised by NHDC in Hitchin to honour the only soldier from the town to ever be awarded the Victoria Cross. 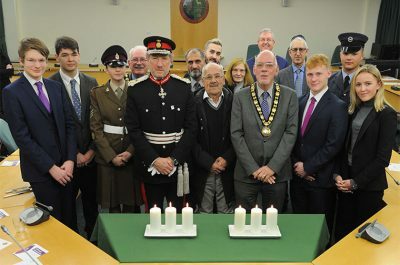 Well over 100 people attended and everyone was happy with the event including Terry Douris and Adam Mitchell. 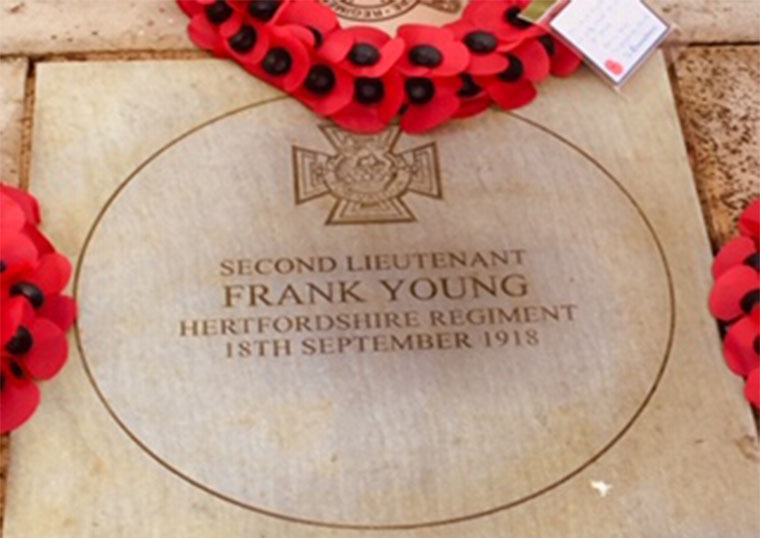 Second Lieutenant Frank Young aged 22 died in 1918 after rescuing a group of his men. 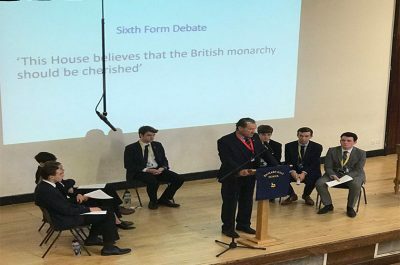 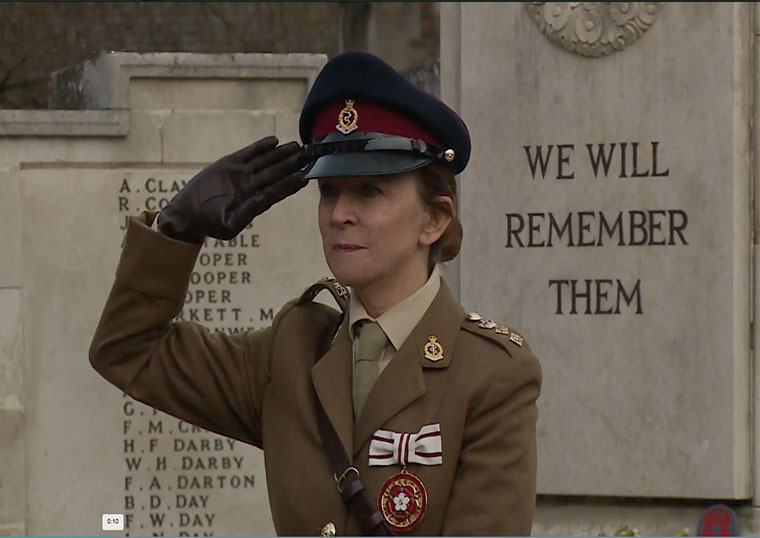 A full Anglia ITV News report of the event can be viewed here: Service Held to Honour Only Soldier from Hitchen to be Awarded the Victoria Cross.